Our Captains’ Charity this year is “Maggies” at the Freeman Hospital. 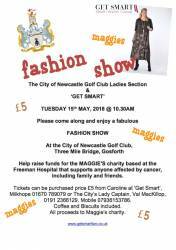 We have arranged with “Get Smart” at Milkhope, Stannington, a Fashion Show to raise funds for this local charity. If you would like tickets, please get in touch soonest. Come and see the new season’s fashions. 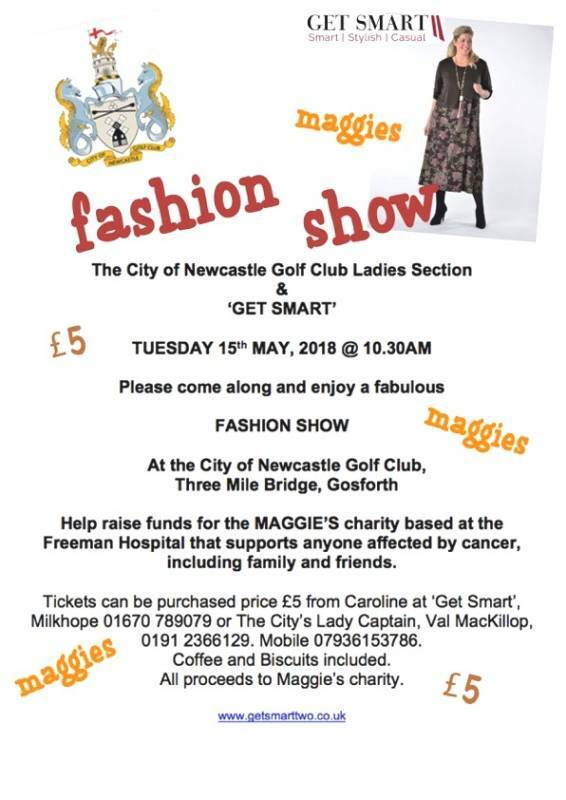 Val MacKillop, Ladies’ Captain, City of Newcastle GC.